Hello all! Are you trying to get organized? Are you wanting help in finding ways to best focus your time and energies so as to be most effective? Here is one great (and very cute) way to get yourself in order. 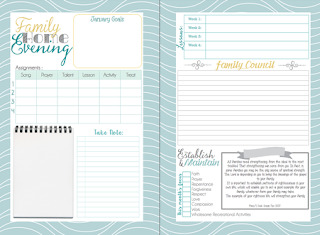 We love the title of their planners "Mormon Mom Planners" as it goes right along with our mission here! We're happy to be connected with them and to offer you this special link where you can see all their new products and decide which one will work best for you. We're big into 'simplification' and have found that truly 'less is more'. As we write things down, and follow the Spirit, we'll be guided as to what to include on our lists of 'things to do' and what can be removed. That's the beauty of having that special guidance; we realize we're not alone in this. He is there to help us and to guide us into all paths of righteousness. Best wishes to you as you plan, prepare and perform; that you may choose the most important experiences and ideals (remember Good, Better and Best) and leave the others alone. For us, at the daily top of our page are three mandatory items; sincere prayer and meditation, personal scripture study, and daily 'walk w/God' (usually outside and around the park.) We've found that these basics help everything else function and flow more smoothly as we're more in-tune with what matters most.